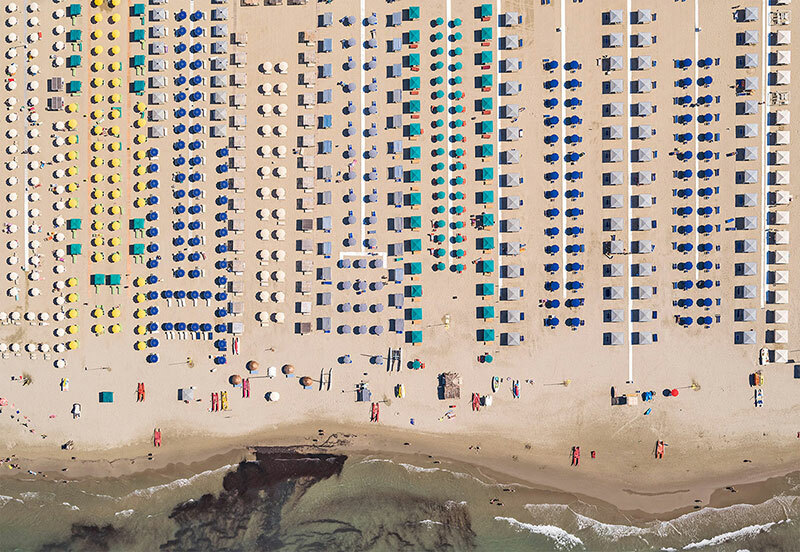 of human activities on nature and the environment. 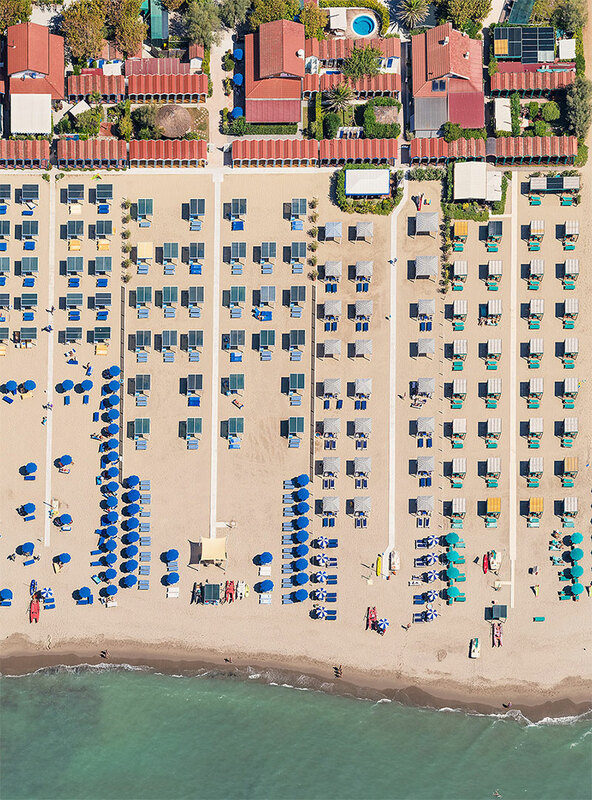 He states that "there is a formal beauty or a pleasant order on one hand, and on the other the transformation or destruction of original nature. 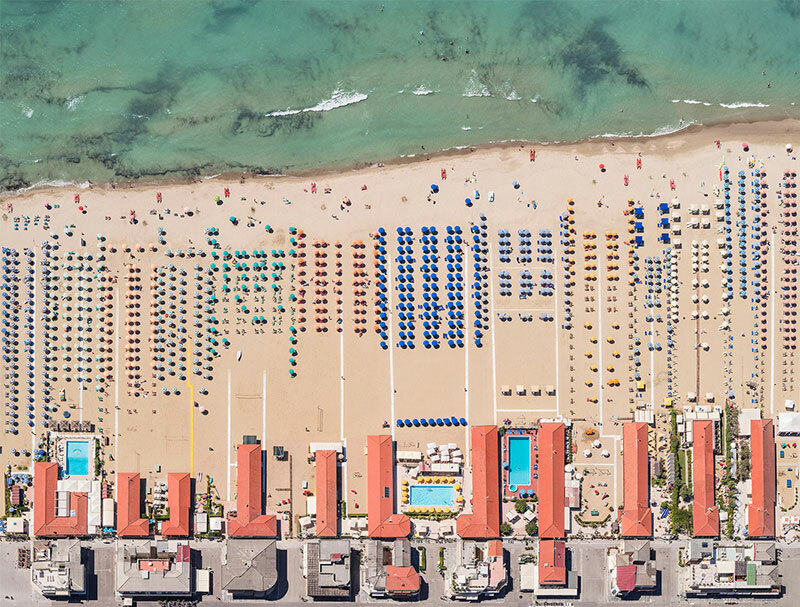 To display this antagonism is the main thought of my work." 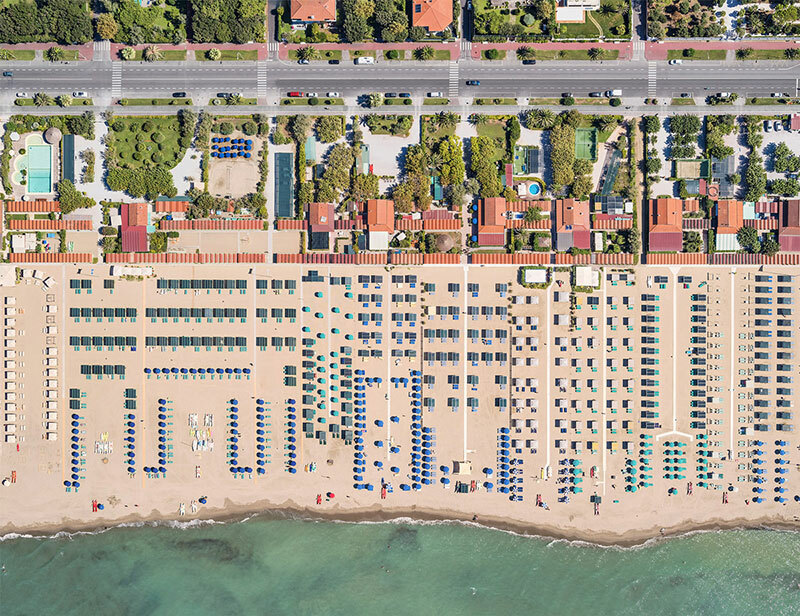 See more of Bernhard Lang's work on Behance or at his website. 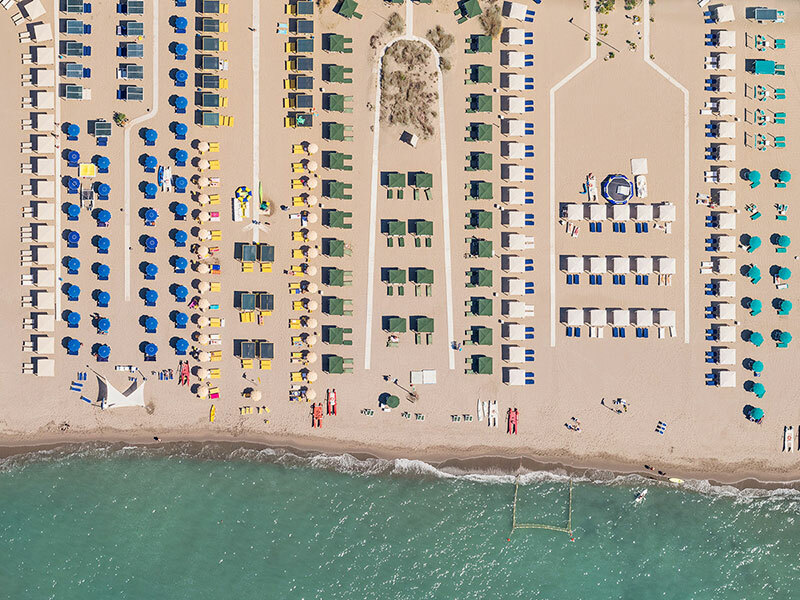 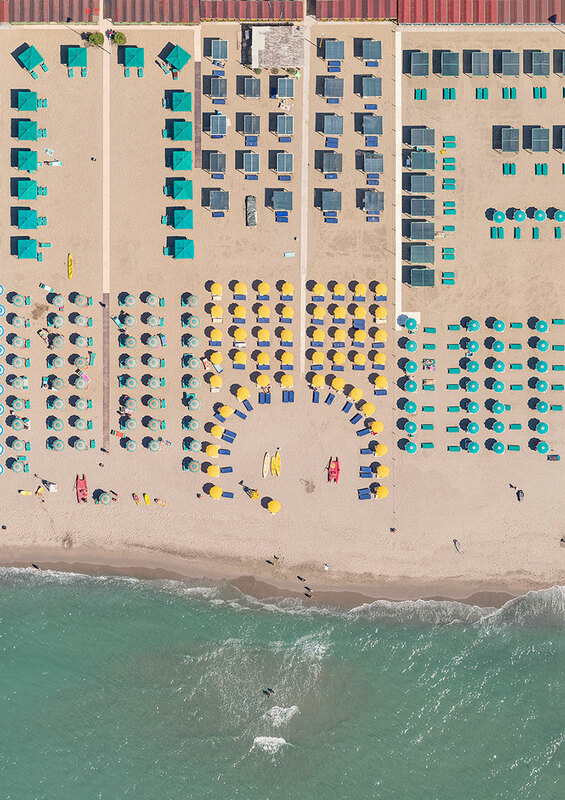 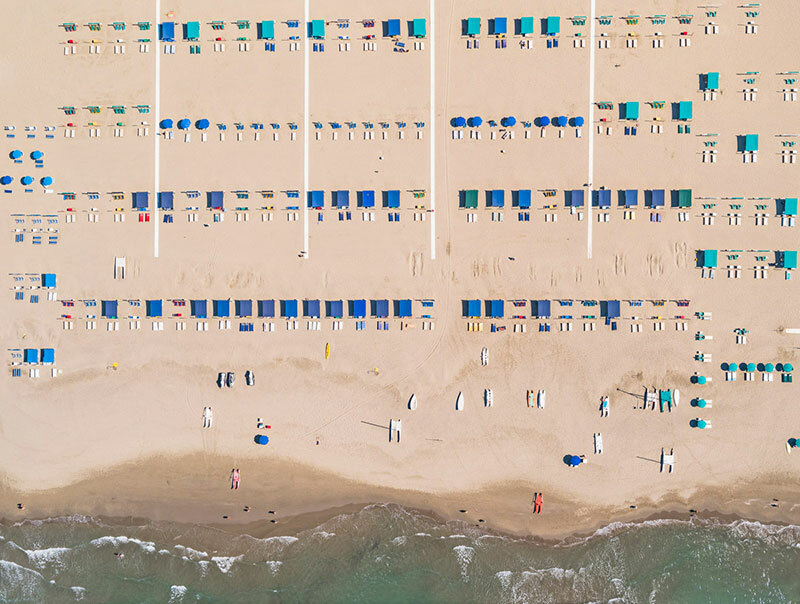 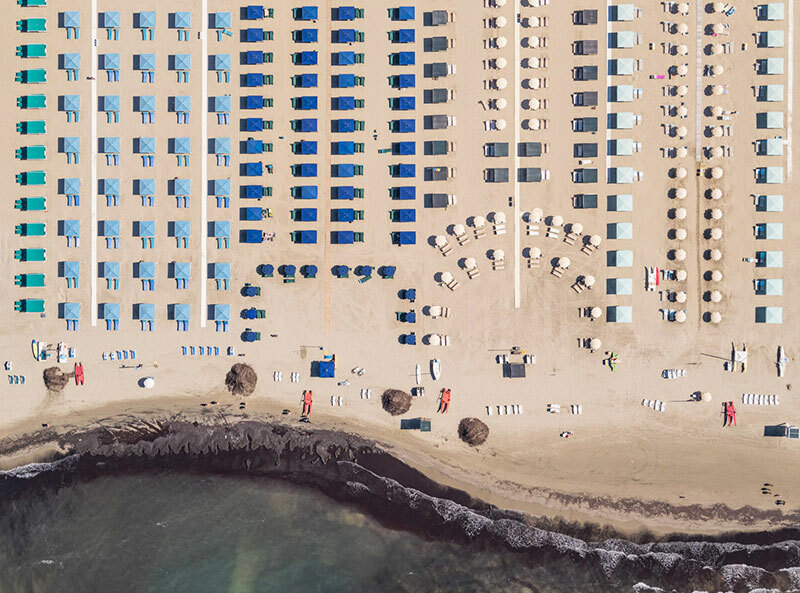 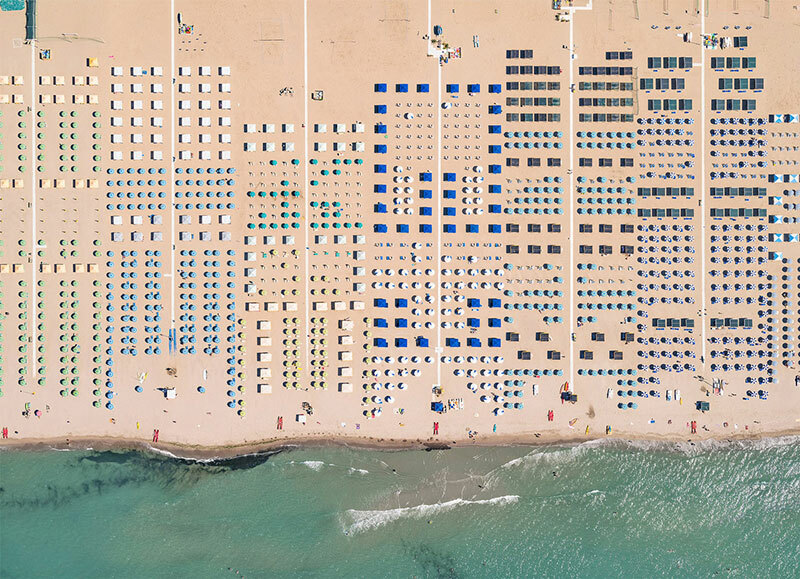 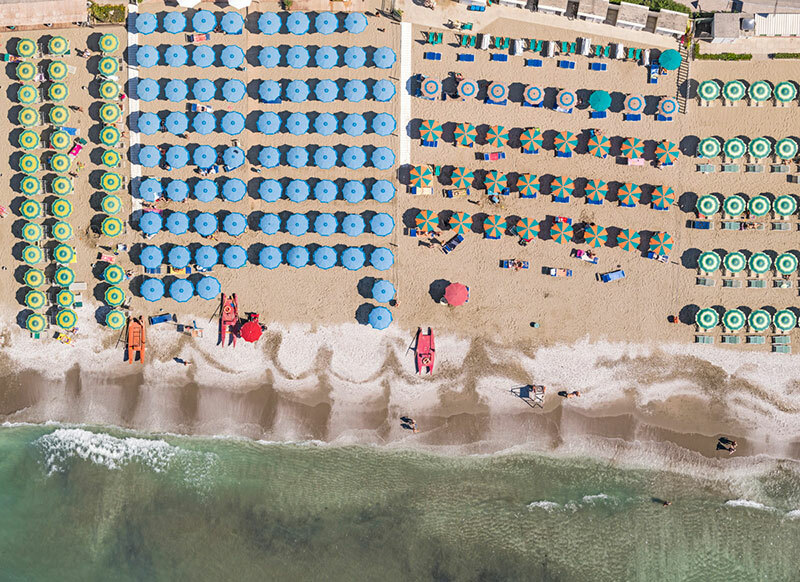 Aerial photos by Munich-based photographer Bernhard Lang of Versilia, the coastal area around the city of Viareggio in northern Tuscany, Italy.